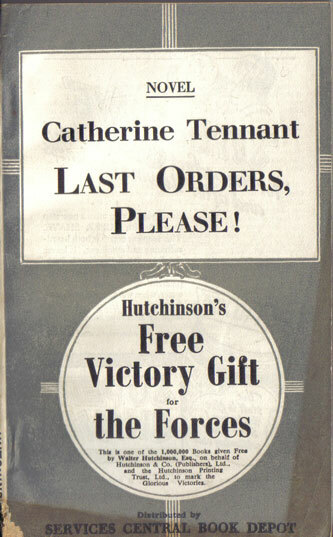 In 1945 Hutchinson gave away one million books to the Armed Forces as a Free Victory Gift. The evidence for this is the wording on the front cover of the few copies I have in my collection. A million books sounds a lot, but it’s not easy to find copies of them now. That may be because not all of them had the standard covers that identify them as part of the giveaway, but I suspect most of them did. It seems clear from the scarcity of many of the other Services Editions that it’s surprisingly easy to make a million books disappear, particularly if they’re printed on poor quality paper and distributed to forces spread around the world. 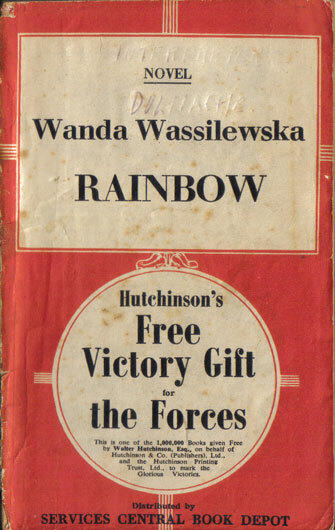 The copies I have are all in a standard format, but come in various different colours, with the same title sometimes being found with different coloured covers. There’s nothing inside to show they’re part of the giveaway and it seems likely that they were not printed specially for this event, but simply existing stock rebound in special covers. Were they books originally intended for the general public that had not sold well and were now rebound? 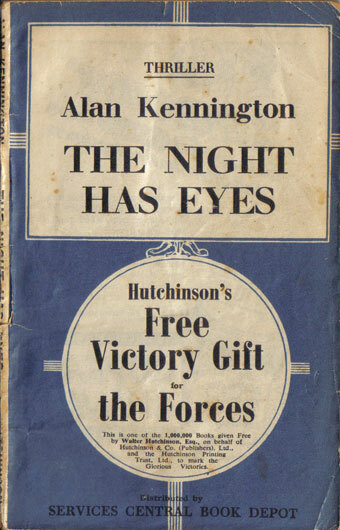 That might seem a bit cynical to modern ears, but at a time of paper rationing and acute shortages, it seems unlikely that Hutchinson obtained a special allocation of paper for this venture. It seems much more likely that they put what they already had to good use. If that’s what happened, then it’s unlikely that there were a standard number of copies of each book issued in the series. It would just depend on how many copies were available. Maybe there were relatively few of some titles and none have survived, in which case we may never know what books were issued. I’ve added a list of the ones I know about to the Checklists page of this website, but there may be many others that I haven’t come across. If you know of others, please get in touch.